Gimbel's work included Killing Me Softly With His Song - recorded by Roberta Flack, the Fugees and others - and the theme to TV series Happy Days. 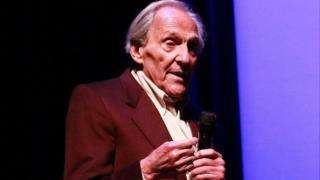 Music rights organisation BMI said it was "greatly saddened" by news of Gimbel's death. It described him as a "truly gifted and prolific writer" who would be greatly missed by friends and fans. He and composer David Shire shared an Academy Award for Best Original Song in 1980 for It Goes Like It Goes, which was sung by Jennifer Warnes in the film Norma Rae.